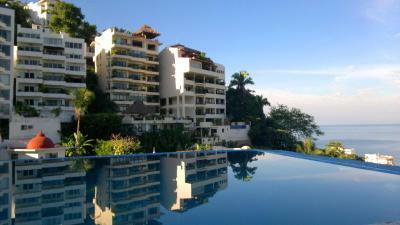 Lock in a great price for Casa Cupula Luxury LGBT Boutique Hotel - rated 9.1 by recent guests. The reception staff were extremely friendly and very helpful. They provided us with great recommendations and always greeted you with a genuine smile and interest to chat. The view from my Balcony, Room 403, was breathtaking! I absolutely loved the staff! The food at 'Taste' was amazing! Its very well maintained, with its own water treatment so you can drink the tap water and a restaurant on the premises so you can just walk downstairs to a delicious breakfast. 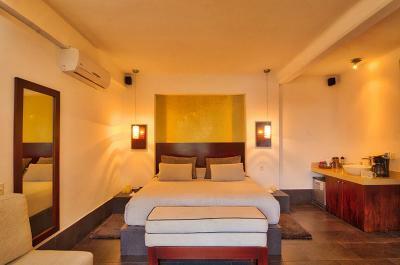 The staff goes out of their way to be friendly and the rooms are spacious and well appointed. 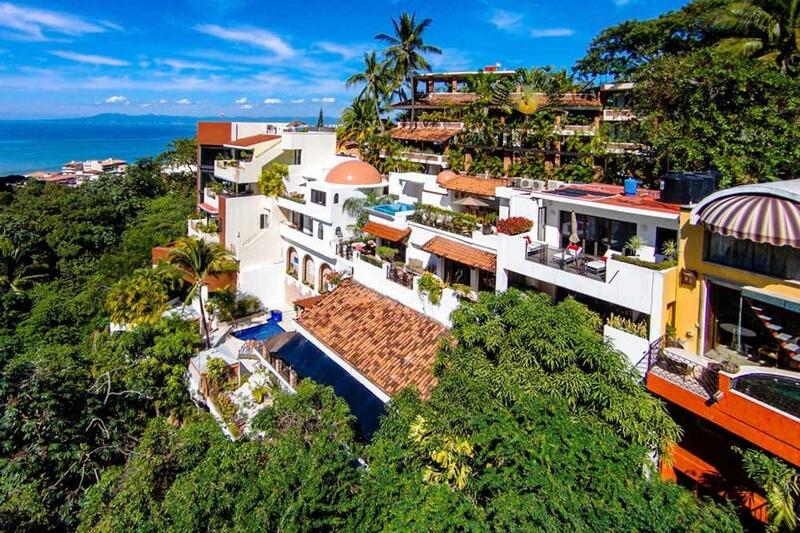 The location is up a steep hill but taxis are cheap and abundent so if you dont wish to climb $2 dollars US will get you up to the front door and the elevation gives you spectacular views of the city and the ocean. 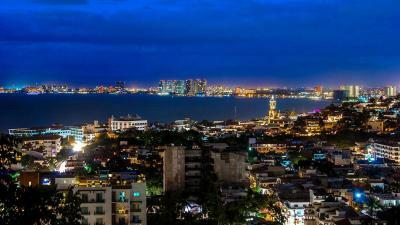 I have returned 4 times now and find it beautiful, comfortable and hospitable every time! 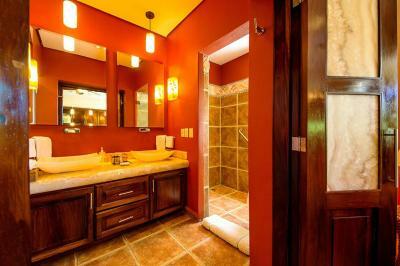 Within walking distance to the pool and the friendliness of the staff. Yummy food at the restaurant. Absolutely beautiful. Careful attention has been paid to every detail of this place. Loved the free van service into town. Friendly staff. Appreciated the thorough tour of the property. La propreté du lieu, La gentillesse du personnel et sa discrétion prêt à toujours vous faire plaisir d'une façon naturelle et sans obstentation. La vue, Le calme, La proximité à pied du centre et des plages. Le parking. D'avoir pu amener mon chien. Le confort du lit. The staff is amazing. Very clean and the location is perfect. Taste has great food. I did not want to leave. The breakfast and all the food was great.And the staff was excellent, I would definitely recommend this property to others. 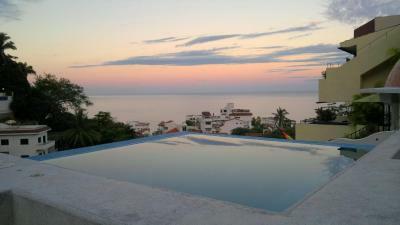 Set on the hills overlooking the Pacific Ocean and 5 minutes’ drive from Puerto Vallarta Cathedral, this gay-friendly, adults-only hotel features 2 swimming pools, a hot tub, spa and a sun terrace. The rooms and suites offer contemporary décor, air conditioning, laptop safe, wardrobe and flat-screen satellite TV with DVD player. 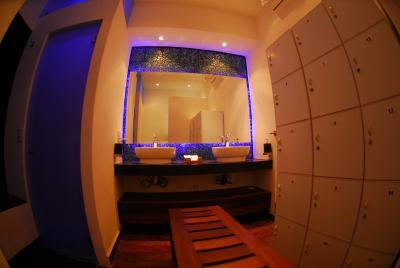 All accommodations feature minibar, coffee maker and a private bathroom with bathrobes, hairdryer and free toiletries. The on-site Taste restaurant serves Mexican-style dishes and American cuisine and also features views of the tropical forest and the sea. There is also a bar and free Wi-Fi is available in all areas. 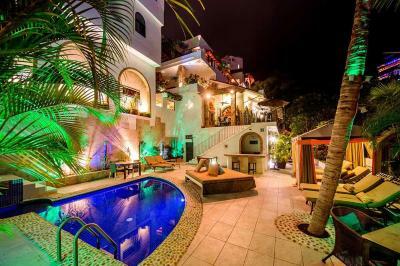 Casa Cupula Gay Friendly Boutique Hotel is 550 yards from Playa de los Muertos Beach and the dock, and 900 yards from the seafront. The Zoo and Botanical Garden is 6.2 miles away and the Puerto Vallarta International Airport is a 20-minute drive away. 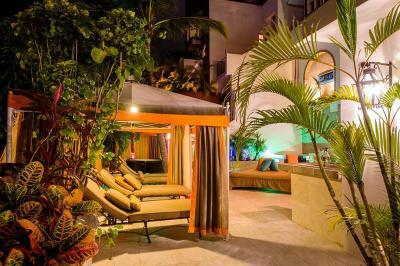 Casa Cupula Luxury LGBT Boutique Hotel has been welcoming Booking.com guests since 8 Mar 2013. 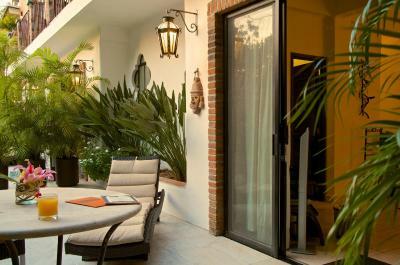 When would you like to stay at Casa Cupula Luxury LGBT Boutique Hotel? This room features air conditioning, ceiling fan, laptop safe, flat-screen satellite TV, minibar and a private bathroom with bathrobes, hairdryer, slippers and toiletries. 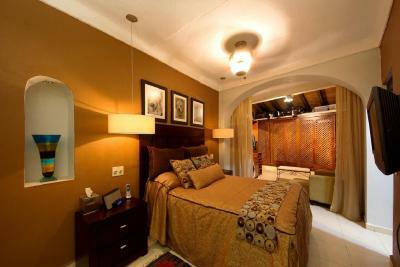 This room features air conditioning, ironing facilities, laptop safe, flat-screen satellite TV, minibar and coffee maker. 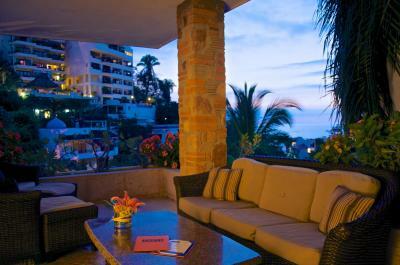 The private bathroom has bathrobes, hairdryer, slippers and toiletries; and the furnished terrace offers sea views. 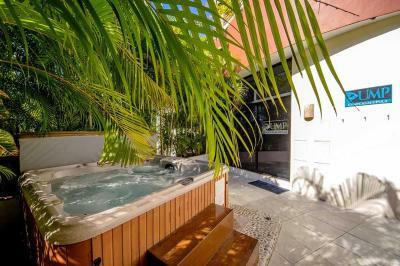 This suite features hot tub, air conditioning, ironing facilities, ceiling fan, seating area, laptop safe, flat-screen satellite TV, minibar and coffee maker. 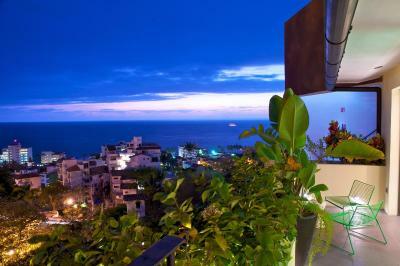 The private bathroom has bathrobes, hairdryer, bath and toiletries; and the terrace offers sea views. House rules Casa Cupula Luxury LGBT Boutique Hotel takes special requests - add in the next step! Casa Cupula Luxury LGBT Boutique Hotel accepts these cards and reserves the right to temporarily hold an amount prior to arrival. Please note that the front desk is closed daily from 18:00 until 10:00 from August 25th until October 3rd. Please note that the restaurant and room service are closed daily from 17:00 until 09:00 from August 25th until October 3rd. It's not that I didn't like anything.... but it would have been nice if the hotel offered Dinner, or provided a list of places to go to for dinner. I had issues with Netflix on day 3 and 4. Cleaning ladies forgot to do my room one day. No phone service - was explained what happened with the system. Could not turn off the AC. It had the atmosphere of an office block. Zero facilities. Food served only certain times. Very limited food offering. At times some of the staff seemed preoccupied with their phones. Not a big deal. It is truly the off season and very few guests were there to keep them busy. Nothing, maybe that the bar closes early. I found the bed rather uncomfortable and noisy.